With 24 hour home call out, we have you covered! Can you afford to loose all that data and put your livelihood at risk? Sentinel Security Technicians offer a comprehensive and professional service to cover all your technical security needs. Our staff members have a wealth of experience in the security business - to help you decide the best way to meet your security requirements. Sentinel Security Technicians is an accredited SSAIB company - which means our design and installation meets British and European Standards. Your insurers will also be satisfied that the service meets the requirements for monitored systems. "We returned from holiday to discover our home had been broken into so we decided to have an alarm fitted. SST provided the most honest and straightforward solution to needs. The system was installed quickly with minimal disruption, fully explained and the Certificate of Conformity duly completed. SST were polite, business like and punctual and returned all calls immediately. We would not hesitate to recommend them. A superb and professional service." Friendly, professional service. Security system fitted without fuss-and without disturbance to decoration. "We have always found Gary and John from SST extremely helpful and cooperative. We would have no hesitation in recommending them for their expertise, trustworthiness, quality and price." Alarm fitted, and serviced by SST, always polite and helpful. Even in a emergency call-out they are here and sorted within a very respectable time. Grade 2 Security Alarm fitted as recommended. Gary from SST and colleague were friendly, respectful of property and fitted system with no problems at all. 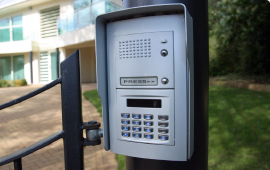 Alarm system met all our needs and thoroughly recommend maintenance contract for a small annual fee that ensures SST check all is functioning as it should and if there is a problem no matter how small (e.g. battery replacement), you can be assured SST respond. Would highly recommend SST for customer service and Grade 2 Alarm fitted. I work for a major Charity in Shrewsbury. When our external security camera stopped working, we were quoted a total of over £300 pounds to have it fixed. Wanting a second opinion, I contacted Gary who has worked on my own house alarm system for the last 8 years. He had it fixed in quick time; a new camera wasn't needed, just a replacement electrical unit. Gary is not only a very personable young man, he is also very knowledgeable and reliable. I highly recommend him. Gary and Jon fitted an alarm and cctv system to my house 5 years ago and have maintained them since that time. Their service has been first class throughout. Their technical knowledge has been excellent, they are responsive and extremely helpful and they charge reasonable prices for what they do. Two of my friends have also used Sentinel , and are similarly impressed. I have no connection with the company, other than being a very satisfied customer. I can’t recommend them highly enough. 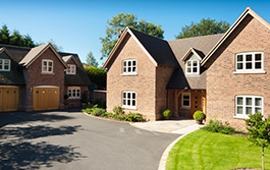 "We recommend Sentinel Security Technicians’ to all of our clients whom are having an extension/new build and are looking to have a security system fitted. They offer a fantastic customer service and are competitive on price. We know that we are recommending a company whom are professional, caring and trustworthy." "As a digital agency, we need a faultless and robust security system. 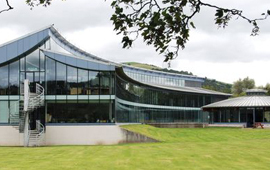 Sentinel were able to suggest the best system for our needs and budget, and are always on hand if we have any queries. 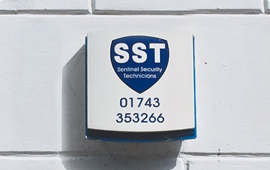 Sentinel provide a trustworthy and quality service at a competitive price and we wouldn’t hesitate to recommend Sentinel for any home or business security needs." From the initial visit through to completion nothing has been to much trouble. Gary talked us through the options and explained the plus and minus points of all before we made a decision. Clean and tidy installation with plenty of time given to explain how to use the system. Would highly recommend.